You asked… we delivered! 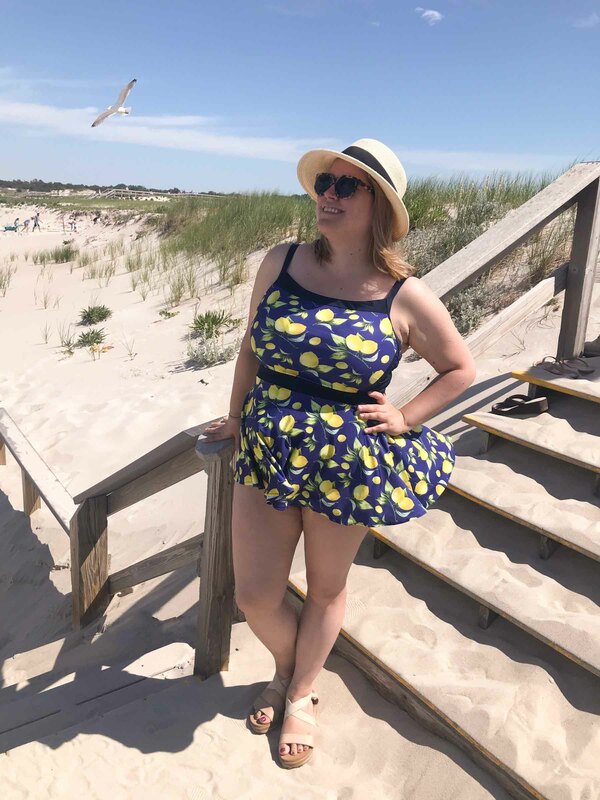 Today I’m excited to launch a brand new free expansion pack for the Ipswich Swimsuit to make it into a tankini with a super cute peplum skirt. 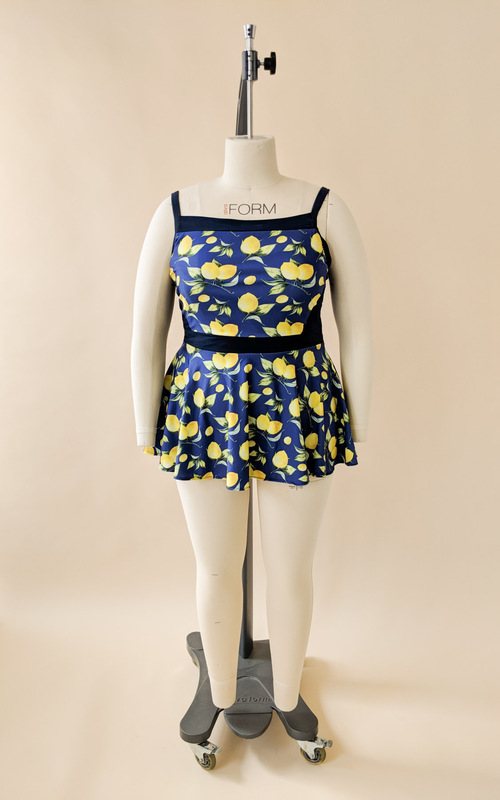 AND, we have kits of this amazing lemon/navy spandex swim fabric (plus all the notions) so you can make your very own lemony tankini, or a swimsuit version. 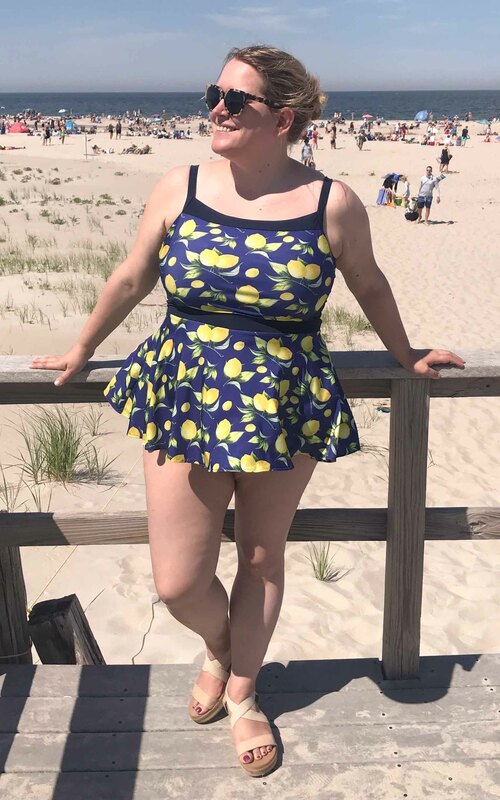 You can get 20% off the kit (or any other Ipswich Swimsuit kit) using code LEMONS at checkout, until July 15 (11.59pm EST). 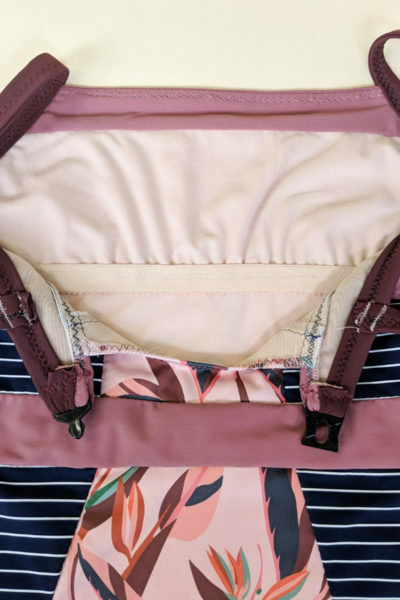 The kits come in a tankini version (which contains the extra fabric you need to make the peplum) or a swimsuit version, and include all the notions to make the swim bra. 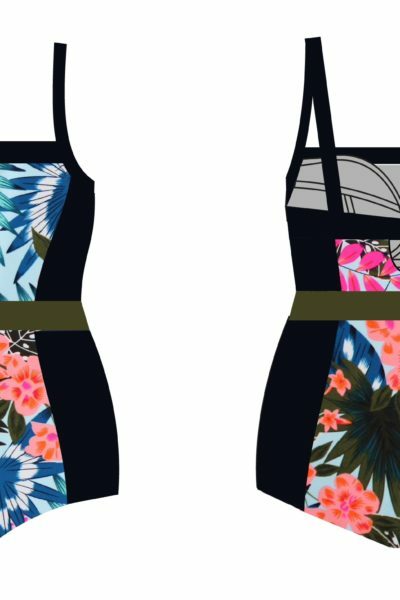 You can add in a printed or PDF pattern, though note that the tankini skirt pattern pieces ONLY come as a print-at-home PDF download. 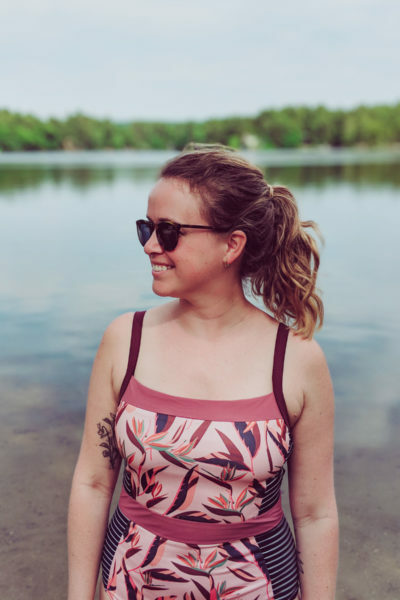 The tankini is a retro style, and it’s perfect if you want a vintage look, want a little bit more coverage at the beach, or prefer the comfort of two pieces but without having your tummy in the breeze. It’s also easy to construct – there are instructions on the tankini construction in the downloadable PDF, which expand on the existing instructions for the bikini version of the Ipswich. 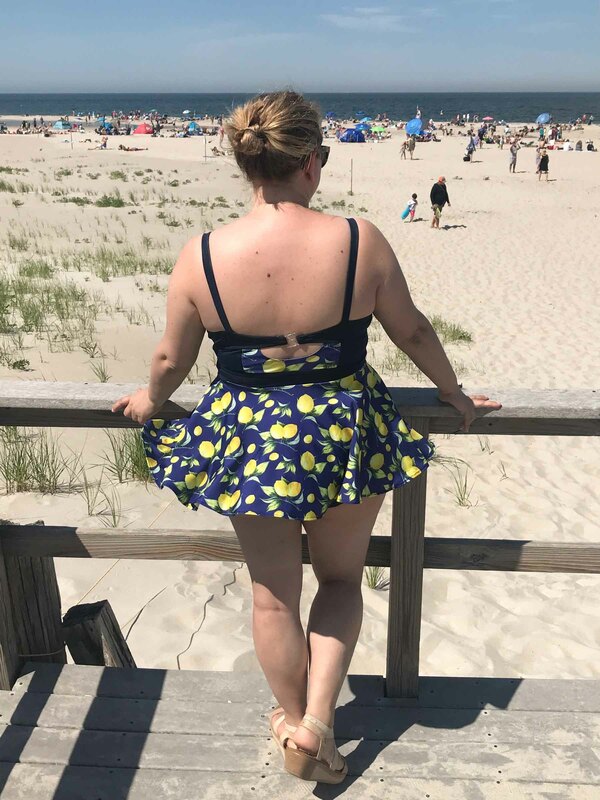 As designed, the tankini skirt is 12″ long and almost gives the appearance of a skirted swimsuit if you’re 5’6″ and short waisted like me! You can easily alter the peplum to be longer or shorter. On this suit (and in the kits), the high waisted bikini bottoms underneath are solid navy. Now there are three ways to make your Ipswich Swimsuit, and I look forward to seeing your tankinis! I love the skirt on the swimsuit. It gives it a flirty look and still lots of coverage. Good job!